Temecula Wine Country Tours with Five Star Tours & Charter Bus Company is the best way to visit and taste the different wineries of San Diego and Temecula County. 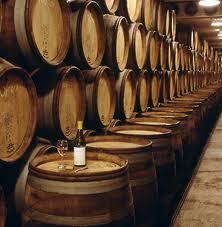 Temecula Wine Country has 25 different wineries on two routes which are California Rancho Road or DePortola Road. Most of the older wineries are on California and the newer ones are on DePortola. These are some wineries located in the Temecula Valley Area. We also visit several that located in San Diego County which are located in Ramona, Julian, Santa Ysabel or Rancho Bernardo. With a mild Mediterranean climate, it’s no surprise that wine grapes grow well in San Diego. While wine-producing regions to the north in Temecula and the south in Mexico’s Guadalupe Valley draw more national attention, San Diego wineries exist like hidden jewels along the coast, tucked into the fertile North County farmland and amidst the rugged terrain of East County. Founded in 1889, Bernardo Winery in Rancho Bernardo is the oldest continuously-operating winery in Southern California. Guests can explore the sprawling property, home to 2,500 vines, browse more than a dozen shops on site and visit the tasting room where there are over 30 local wines on the list. The tasting room opens daily at 9:00 a.m. and pours until 5:00 p.m. on weekdays or 6:00 p.m. on Saturday and Sunday. Five tasting pours cost $8 and every Sunday from March-November, there is live jazz on the tasting room patio.